Market development and leadership for zero energy buildings spotlight ultra-low energy projects that consume only as much energy as they produce from clean, renewable resources. 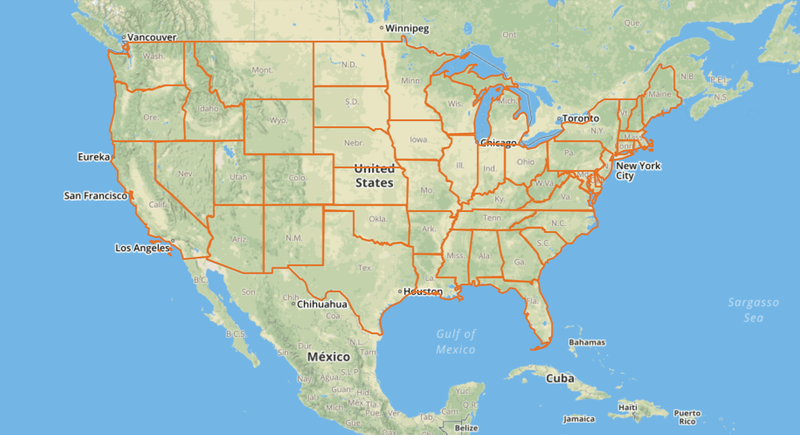 Getting to Zero National Forum presentations are now available. NBI has been leading the market development of zero energy (ZE) buildings since 2008 when we supported the development of the first ZNE Action Plan to help California meet its ambitious zero energy goals. Since then, we have been tracking the counts and location of zero energy verified and emerging projects across the United States and Canada. ZE buildings are ultra-low energy buildings that consume only as much power as is generated onsite through renewable energy resources over the course of a year. Verified projects have been reviewed by NBI or another third-party as having achieved ZE performance. Emerging projects are those that have a stated ZE goal, but have not yet been verified with 12 months of energy use and generation data. NBI’s Zero Energy Market Development and Leadership Program efforts include thought leadership, research, project tracking, education, communications, convening and networking, and represents one of the most extensive portfolios of expertise and resources on zero energy buildings in the world. Getting to Zero utilizes these multiple strategy areas to drive ZE buildings to scale by building market capacity to deliver, establishing early adopter networks, and supporting policies and programs that help facilitate projects. While still a nascent market, the growth trend for ZE is steep. The count of ZE buildings across the United States and Canada has increased by 700% since 2010, and encompasses 45 million square feet of commercial building space. ZE has captured the attention of building owners, designers, policymakers, civic leaders, operators and others who see its potential to help remake the built environment into one that uses clean energy resources efficiently and reduces the substantial carbon footprint of buildings. There are no codes & policy for Zero Energy. Please see our other codes & policy below. Outcome-based energy codes, codes require that a number of policy, data and administration pieces be put in place. There is no research for Zero Energy. Please see our other research below. The language included in the California Title 24-2013 Energy Standards for Non-Residential Buildings requiring certain FDD features in all new rooftop unit heating and cooling equipment of 5-ton capacity or greater starting in 2014. This Final Research Summary Report summarizes the findings for the High Performance Buildings Measured Performance and Key Performance Indicators project within the Evidence-based Design and Operation research program. This report details tasks, findings, and recommendations undertaken for the Enhanced Skylight Modeling and Validation project. The scope involved developing and validating computer simulation alternatives to physical measurements for producing optical daylighting system photometry. How Accurate is Energy Modeling in the Market? NBI completed a report on the range of evaporative, evaporative hybrid and evaporative condensing technologies for HVAC applications on behalf of Southern California Edison including: technologies, manufacturers, market applications and adoption factors surrounding evaporative approaches to cooling. This study presents evidence that a chain retailer is experiencing higher sales in daylit stores than in similar non-daylit stores. This study investigates whether daylight and other aspects of the indoor environment in elementary school student classrooms have an effect on student learning, as measured by their improvement on standardized math and reading tests over an academic year. There are no events for Zero Energy. Please see our other events below. There is no news for Zero Energy. Please see our other news below. Mark Frankel, Technical Director, will be at Efficiency Exchange May 14 in Coeur d’Alene where he will present during Breakout Session 3 as part of the presentation Nailed it/Failed it: Turning Energy Benchmarking into Action. Learn about zEPI Jurisdictional Scores, how Ithaca leads in New York, the 2019 Getting to Zero Forum, and more. Learn about smart building-to-grid integration, new resources, our Board of Directors, zero energy homes, how better buildings can limit climate change, Proposition 39 ZNE Schools Leadership Awards and more. Produced by Yale Climate Connections: These ultra-low-energy buildings might be popping up in your neighborhood soon. Listen to this short interview with Ralph DiNola, CEO. 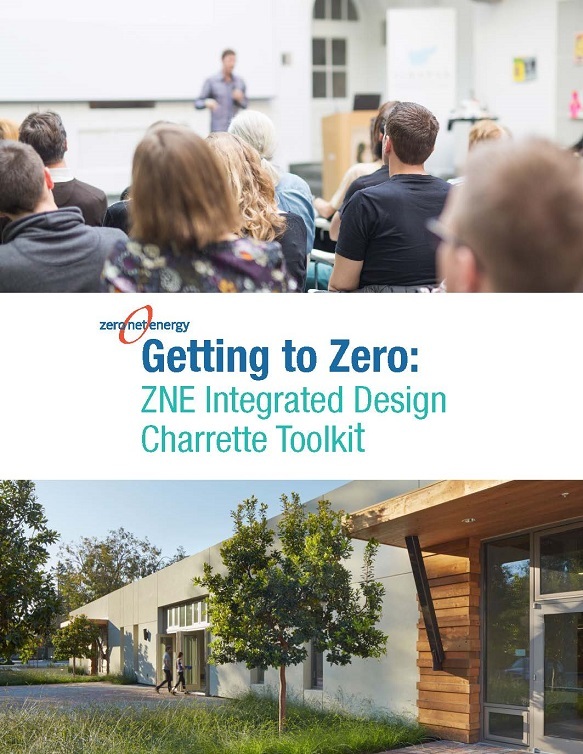 Published in Green Architecture & Building Report: In case you missed New Building Institute’s webinar on Nothing Beats Zero – Updates on the Trends and Projects That Are Getting to Zero Energy, you can now view it online. Published in Building Design + Construction: The 20% Stretch Code, a new set of standards developed by New Buildings Institute (NBI), offers a tool for accelerating the use of more energy efficient designs in new buildings. Published in Facility Executive: New guidance document provides jurisdictions with a new approach to shift the focus towards buildings’ actual, measurable energy results. This article digs into California’s successes with zero energy buildings and overall increases in ZEBs nationwide. Given the number of small and medium commercial buildings, there is urgency to increase energy efficiency in this sector. Luckily, advancing technology promises to help these buildings enjoy the savings that a retrofit can attain. This article from GreenBiz discusses how zero energy buildings will interact with the electrical grid in the future. The piece highlights a recent paper by NBI’s Alexi Miller and Jim Edelson. Can the Bullitt Center prove that it pays for buildings to go ‘deep green’? Energy efficiency and solar: Beer and wine or gin & tonic? How deep is the net-zero water hole? Energy-Saving Deep Retrofits at Negligible Cost? Zero Energy Buildings are on the rise across the U.S. There are no blog posts for Zero Energy. Please see our other posts below. What is California doing that we can learn from? Do you really know how close you are to Net Zero? The Widespread Success of ZNE Hinges on the Bottom Line, But Whose? There are no case studies for Zero Energy. Please see our other case studies below. When a county building’s facility manager wanted to know if it was time to upgrade the building’s heat pumps, EZ Sim’s detective work helped to uncover more savings in more places than she bargained. The New England Regional Council of Carpenters (NERCC) represents 22,000 carpenters, pile drivers, shop and mill men, and floorcoverers working in the New England states. Information about New Construction projects that have utilized Core Performance are available here and, when available, include links to case studies or project profiles. IDeAs’ new headquarters in San Jose, CA was designed to meet 100% of its net energy requirements using renewable energy from photovoltaics. For this two-story building in Cupertino, CA the design process moved through six steps to responsibly approach carbon neutral operation and roughly track increasing cost effectiveness. Science & Engineering (S&E) Building I is one of five buildings in the initial phase of development at UC Merced. This case study examines the actual post-occupancy energy performance of S&E in relation to design elements and objectives. There are no tools and guides for Zero Energy. Please see our other tools and guides below. This guide focuses on the general elements of ZNE homes and provides links to the specific details and requirements of Title 24 (energy code) and Home Energy Rating System (HERS) verification (field verified and tested). This summary document describes a set of code strategies that represent a 20% performance improvement for commercial buildings over the ASHRAE 90.1-2013 code baseline (and approximately similar savings over the IECC 2015 baseline). The Core Performance Guide is a prescriptive path that was first published in 2007. 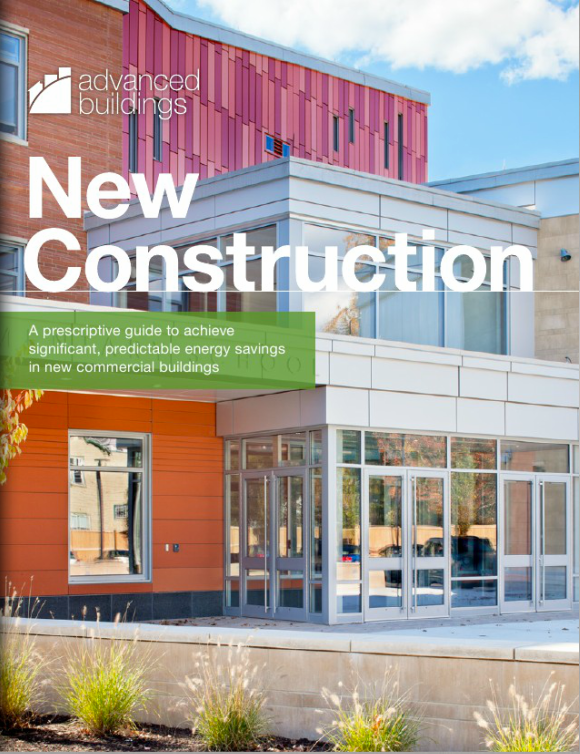 Following this building guidance will result in buildings that are more energy efficient than conventional buildings.